Americans put climate change low on their list of priorities. But consider how poor women fare when we opt out of the conversation. Earlier this year, the Pew Research Center found that just 29 percent of Americans think addressing climate change should be a top priority for Congress and the president. Desire to see new policies passed in this arena came in second to last among twenty other issues tested. It’s not that Americans are in denial: Two-thirds of those surveyed were convinced that the planet is warming. It’s just that most of them weren’t motivated to do much about it. Not everyone is resigned to inaction, of course. And some people are less interested in reducing carbon emissions and investing in renewable energy than they are in attributing environmental degradation to immigration and births to immigrant women. That camp is busy this Earth Day. Last week, Californians for Population Stabilization launched a TV ad campaign blaming immigrants for a depleted water supply, air pollution from cars and the disappearance of the state’s green spaces. 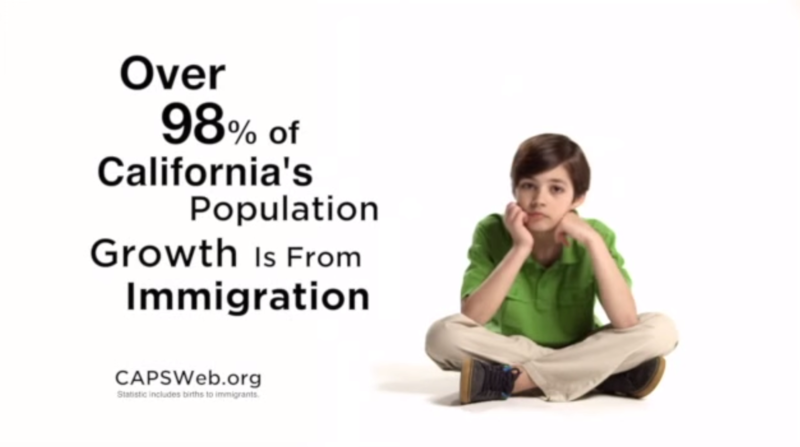 The ad, which has run in Los Angeles, San Diego and San Francisco, is in line with the group’s larger legislative agenda and its claims that the state’s fall from “pristine to imperiled” is the result of population growth caused by immigrants. In many ways, this focus on population control threw the American environmental movement off track. By shifting the blame elsewhere, to the proverbial dark-skinned Other, it prevented many Americans from taking a deeper look at their own role, and the role of the U.S. government and corporations, in causing environmental degradation at home and abroad. It distorted family planning policy as the provision of birth control became a coercive tool in the war on population growth, rather than a means to improve women’s health and choices. It alienated people of color and immigrants from the environmental movement and left the door wide open to the greening of hate. Linking a devastated environment to migration and women’s reproductive choices is a case of blaming the victim, given reports that women— particularly poor women—are hardest hit when climate-related crises strike. In the first year after Hurricane Katrina, low-income families headed by single mothers in New Orleans fell from 18,000 to 3,000, according to a 2009 report on climate change and gender. Just over 80 percent of such families were displaced, and those who tried to return to the city faced a particularly steep set of obstacles. Industries dominated by women—healthcare, hospitality and education—struggled to right themselves while construction and clean-up jobs became plentiful. Four in five subsidized affordable housing units were damaged by the hurricane, and subsequent demolitions led to an affordable housing crisis. Four years after the storm, less than half the number of pre-Katrina childcare centers were open, leaving working mothers with few options. Griffin’s question is just as relevant now—not just to New Orleans, but to all of the country’s vulnerable coastal cities—as it was in the months following Katrina. For those of us among the 70 percent of Americans who don’t view climate policy as a priority, we’re letting Griffin’s question go unanswered until the next crisis forces us to confront it. We’re letting anti-immigrant activists intent on promoting a xenophobic brand of population control shape debate. In short, we’re letting some women both take the blame for climate change and bear the brunt of it.